However, during a month-long stay in Palestine and Israel recently, I found something else. I found something very positive and hopeful and perhaps the key to a peaceful resolution of this tragic conflict — and a possible path toward a peaceful future for both peoples. On the first anniversary of the War on Gaza, known as Operation Cast Lead, close to fourteen hundred people from more than 40 countries came to Cairo, Egypt planning to go to Gaza and help end the Siege, a total blockade which began in 2007 and continues today. Unfortunately, under extreme pressure from Israel and perhaps the United States, the Egyptian government did not allow most of us to enter Gaza. However about ninety from the GAZA FREEDOM MARCH did get into Gaza from Dec. 30, 2009-Jan 2, 2010. I was privileged to be part of that group. It is New Year's Day evening. The moon is really full over Tahrir Square in front of The Mogamma; it is beginning to feel like the Gaza Freedom Marchers' place. We have done nonviolence training there, kicked off the march from points along it's perimeter and across from it, celebrated New Year's Eve and welcomed in a year of greater promise, and closed this phase of the journey together there. At the closing circle I treasured seeing the chief of police who has followed us throughout the week with hundreds of his young conscripts (who I now affectionately call our "boys in black") enter our large circle, ostensibly to do crowed control; he ended up accepting a proffered cookie, leaving with a smile on his face……Small steps in the path toward world peace and understanding, based on sharing our humanity. 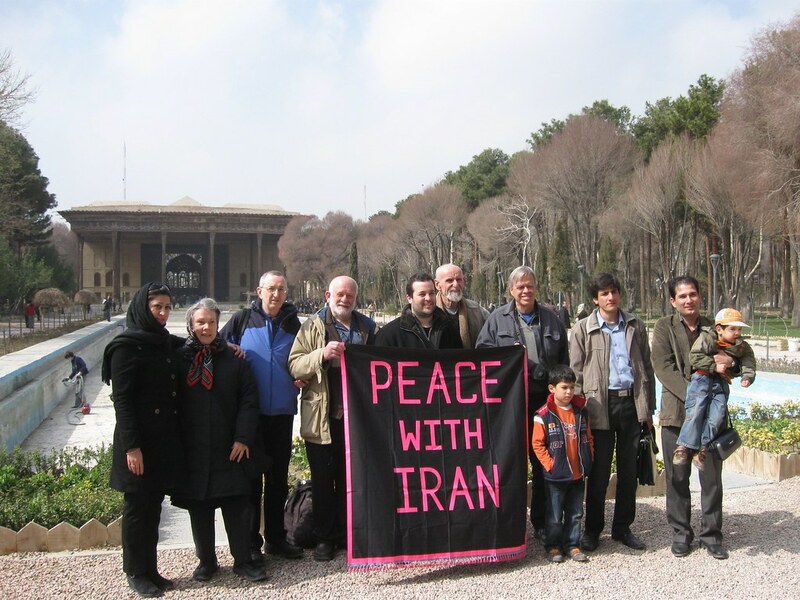 A delegation of 20 American peacemakers planned to visit the much maligned nation of Iran in late February. Only six received visas. Among these were David Hartsough and Franciscan Fr. Louie Vitale. They returned brimming with fondness, hope and heartening stories. David, the delegation leader, is a long time Quaker peacemaker who worked with the American Friends Service Committee for 18 years and co-founded Nonviolent Peace Force, an international project that places trained nonviolence workers in conflict situations. He currently directs Peaceworkers, an organization that supports nonviolent movements around the world. Members of the delegation share their reflections on their recent trip to Iran. We were descending the steps on the way out of the Palace of the Forty Columns in Esfahan. We only saw twenty columns because the large reflecting pool was drained and instead of the shimmering reflection of the twenty columns, we saw workmen patching the sides of the pool. It was a beautiful sunny morning in a lovely park. On the steps were so many teenaged girls talking together in clumps that I surmised they were on a school trip. Flag-waving in Iran and the U.S.
"Taking action to further cripple Iran's already taxed energy sector punishes the Iranian peopl. More hostile and draconian sanctions undermine the potential for a diplomatic solution to Iran's contested nuclear program and other peace and security concerns." Father Louie Vitale and I met with a group of Iranian war veterans from the Iran-Iraq war (1980-88) and a delegation from Hiroshima, Japan. Some of the vets had lost their legs; many had been attacked by the chemical weapons used by Saddam Hussein against the Iranians and have been suffering the consequences ever since. There were widows who had lost their husbands, men who could barely see with one eye, people who could not breathe when someone started to smoke, and many from Hiroshima who had lost so many of their relatives and loved ones. The Fellowship of Reconciliation's ninth peace and civilian diplomacy delegation to Iran arrived safely in Tehran on Thursday, February 19th, 2010. There are six members of this delegation, making it the smallest one to date, as two-thirds of the group were denied visas. FOR is deeply concerned about what we are experiencing as an increasing series of challenges to an already difficult process of obtaining visas for U.S. citizens.